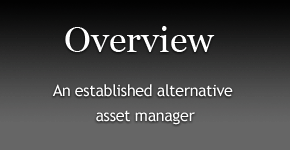 Goodwood is a Toronto-based independent investment management firm that has provided institutional and high-net-worth clients with alternative investment strategies for over 20 years. 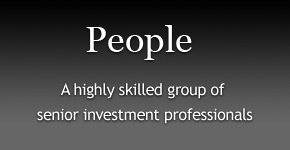 The firm’s senior investment team uses their unique, company specific, value oriented investment approach, with a strong focus on equity special events and credit opportunities. Our approach is focused on the preservation of capital through extensive and rigorous investment analysis on a position and portfolio basis. 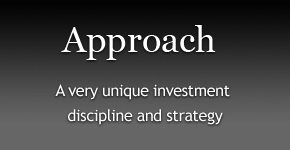 Our investment process is leveraged across varying mandates to offer unique risk adjusted investment opportunities. We offer segregated accounts for institutional investors including, pensions, foundations endowments and personalized income-oriented accounts for individual investors. We can customize solutions with separately managed accounts tailored to an organization or individuals unique investment requirements. Commissions, trailing commissions, management fees and expenses all may be associated with mutual fund investments. Please read the offering memorandum or prospectus before investing. The indicated rates of return of the Fund are the historical annual compounded total return including changes in unit value and assume that all distributions made by the Fund were reinvested in additional units of the Fund. The rates of return do not include deduction of sales, transfer, redemption, income taxes payable, or other charges (which distributors may charge) that would have reduced returns. The rates of return are net of all management fees, performance incentive fees and expenses. Mutual funds are not guaranteed, their values change frequently and past performance may not be repeated. Investment funds can involve significant risks and the value of an investment may go down as well as up. There is no guarantee of trading performance. An investment in the Fund is not intended as a complete investment program and should only be made after consultation with independent investment and tax advisors. Performance data from certain market indices (S&P/TSX Composite TRI) are provided in this presentation for information purposes only. These Indices are not benchmarks of the Funds but rather are displayed for comparison purposes to the broad market. A comparison of the Fund’s performance to such market indices is of limited use because the composition of the Fund’s portfolio may contain other securities not found in the market index. As a result, no market indices are directly comparable to the results of the Funds.